Picked up the Sotret yesterday. 40mg x 2 times a day. I think this dosage is way too high and am waiting for the derm to call me back. Took 1 pill yesterday. Felt nauseated. Had insomnia and a slight headache. I pretty much just had myself all worked up. This is a big deal, ya know? I woke up early and took 1 pill with a heaping spoonful of peanut butter. You know how long it has been since I've eaten that crap?! It was pretty good. Tried to go back to sleep for an hour, but couldn't so I vegged in bed and channel surfed. No side effects to report. I'm a little tired since I didn't get much sleep, but feeling perky and optimistic. 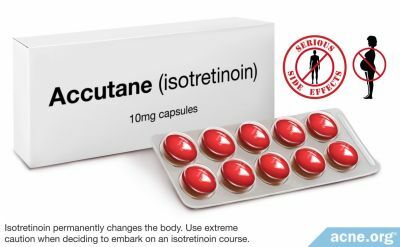 Since two people commented on how they can't believe I was prescribed Accutane without reading the entire log, I'll do a quick summary here. 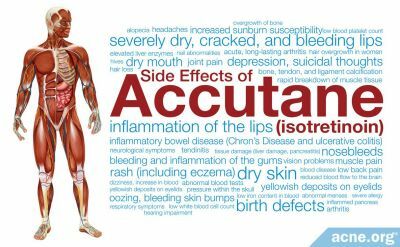 Accutane is not just reserved for those with nodular acne. 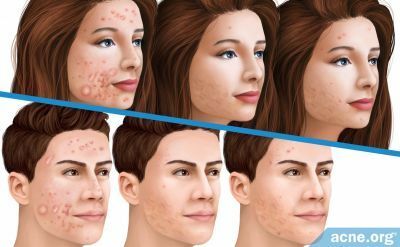 It is also prescribed for those with persistent acne past the age of 25 that have not found relief with antibiotics and topicals. I do not have nodular acne, but I have had moderate/severe cystic acne for 12 years. 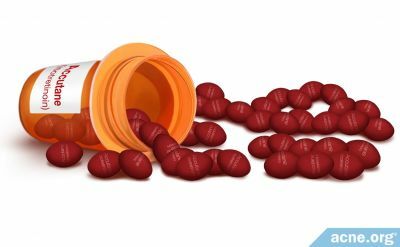 Antibiotics kept it at bay, but they have not been able to stop it. My age (30) has not had any impact. In fact, the older I got, the worse it became. 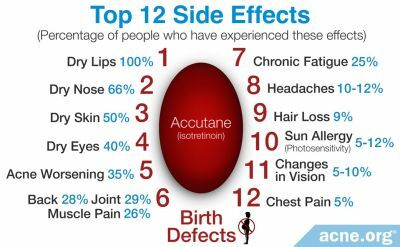 So before anybody else tells me I should not be taking Accutane, do your own research before passing judgement. same dosage as me. check out my log to see where i am, around 3 weeks in. a few crappy side effects, but no biggie. it'll be worth it in the long run! The derm called back and said there had been a mistake and wants me to take one 40mg pill a day until my next visit, not two. That's a relief. I did check your log. I wouldn't mind the higher dose if my weight were suited for it, but it's not. I'm a twig. I got scared and had to ask because it just didn't sound right. Good luck with your course! Slept hard. Woke up before the alarm and was UP UP UP! Other than feeling like I'm somewhat in a daze, I'm great!! I started the Sotret on the first day of my cycle so I'm hoping the feeling subsides when it's over. Skin felt slightly less oily when I woke up and flushes periodically throughout the day. Lips are fine. Eyes get a tad itchy every now and then. Appetite and cigarette cravings are off and on. Lips are great. I thought they were getting chapped yesterday, but they're absolutely fine this morning. I put Carmex on just in case. I've read where others use this stuff and have complained about using their fingers because they have to wash their hands which equals more dryness. I lucked out and found a drug store that sells it in squeeze tubes like Blistex. My skin is not dry, but I lotioned up anyway. At least I smell pretty. Face and hair are still getting oily like usual. I'll be a greaseball in a couple of hours. I took my dose before bed instead of this morning. What a difference! I feel GREAT! Not at all sluggish like I've been feeling. I'm going to keep taking it at night for a bit to see if this trend continues. As of this morning I have absolutely NO side effects. Woot! Lips and skin are fine. You know how you get a cyst and then it retreats? It just kind of sits there under the skin. It's not really swollen or inflamed, but you know it's there if you run your fingers over it. I've got a couple of those that are tender today. They're not red or swelling (yet). I've got a small cyst on the back of my shoulder that came out of nowhere yesterday. Other than that, I've got absolutely nothing else to report. Got a tad sunburned from helping my mom in the yard, but my skin is still not dry. In fact, my face seems to be producing more oil. It's so attractive, lemme tell ya. I can't tell if my lips are getting dry or if they're waterlogged from constantly keeping Carmex on them. They've got this weird, semi-moist rubbery feeling to them when I wash my face and don't apply something right away, kinda like how your fingers feel when you've been in the bath too long. Pruney. I keep getting sore sensations in my face like cysts are going to pop up, but nothing appears. A few weeks ago I developed clusters of small, flesh colored comedones on my temples. Those are starting to go away. This morning I had a tiny, and I mean tiny, pustule on my chin. Other than that, I haven't broken out. Like I said, I keep getting the sensations that I will, but nothing comes to the surface. It's so strange and the sensations make me paranoid. OMG! What a difference one day makes. My lips are definitely dry. I figured I'd let them "dry out" since they felt waterlogged. They felt like alligator skin. After taking a shower this morning they peeled off. It was so nasty!! Now they feel gummy and gross. Blech! Other than that, the rest of my skin is somewhat drier. The skin on my face exfoliated beautifully this morning, but it's still so oily. How in the heck can my face be dry and oily at the same time? Mind boggling. My eyes were also dry this morning. Putting in drops felt sooooo gooood. And oh, if I push the skin of my chin out with my tongue and run my fingers across it, my blackheads feel like a cat's tongue. Neato! Other than a little expected dryness, there are no other side effects to report. I don't necessarily want to update every day, but it's hard not to because so much changes in just 24 hours on this stuff. I'm amazed at how everybody reacts so differently to it. Anyhoo, this morning was the first time in 12+ years I've been able to wash my hair at night and not have to rewash it in the morning. Woohoo! I even skipped putting on makeup. I've got a bit of a tan and have also been using gradual tanning lotions so my skin looks pretty good. For right now, I've been using Jergen's face glow and I like it better than the Cetaphil cream. The cream just seems so heavy and I oil up as soon as I put it on. Speaking of oil, my face is definitely less oily this morning. That deserves another Woohoo! I've had to put eyedrops in twice already. Lips feel much better today. They're dry, of course, but not gummy like yesterday. Sleep has also been dynamite. I'm use to waking up every few hours so it's hard for me to get up when the alarm goes off. Not on this stuff though. I drop like a rock and don't wake up at all. When the alarm goes off I feel like a frisky squirrel! The only part that worries me is that dreaded initial breakout. I've yet to experience one, but I bet I will when it's time to up my dose. There are still small lumps under the surface that I'm sure will have to purge. For now, I'll relish the smoother, clear skin. I've taken antibiotics off and on for years and always respond well to them, but as soon as I stop, the acne comes back. I cleared up on Solodyn before taking this so I've been fortunate to start my course with just a couple of small actives. As of today, I have NO actives and a lot of my marks have faded. We'll see if this trend continues. Eyes: Dry - They were so dry this morning the drops made them sting. They are also more sensitive to bright light, especially in the dark when I'm driving in to work. Lips: Marvelous - a little dry, but feeling good. Body: Good - My shins and lower abdomen were muy itchy this morning, but that stopped after moisturizing. Hair: Great! No flakes or itchiness. Less oily. Face: Good - Big alien blackheads are appearing. One is getting inflamed. One old cyst I thought was dead is getting sore. Skin is super soft though and less oily. No other side effects to report. I can go 48 hours so far without washing my hair and my face stays matte all day. Hip hip! I've also noticed that I'm more dry...ahem...down there. The skin in the crease of my upper lip and nostrils is getting flaky. My skin tone has evened out a lot, too. My nose is a little pinker than the rest of my face, but I don't care. I've still got blackheads in it and am waiting for them to come out. The flushing has subsided for the most part. I've got a couple of small bumps - one on my chin and one on my neck. I did have two on my neck, but one of them finally expelled. It wasn't liquid pus. The gunk was more like rubber cement in texture. So weird! 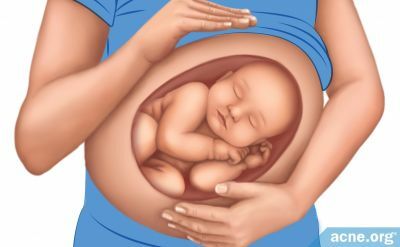 I'm assuming the two bumps I still have are the same way. It's like everything is drying up from the inside and coming out, but it's not bad at all. I'm so very thankful that I've not experienced a bad breakout (yet). I've also developed a couple of bumps on my lower back. I've just got crud all over my body it seems. I wonder where else it's going to come out. Man, I didn't think I'd be affected so soon; I was out in the sun for about 30 minutes (without sunscreen because I'm hard headed) and felt like I got sunburned. I was pink on my arms for about a day, but didn't peel. So far I'm loving this stuff. Everything is just peachy keen, jelly beans. Have a great day! I can't believe I've been on this stuff for almost a month already. Everything is great and I'm actually looking forward to having my dose increased. I can still see stuff under the surface if I pull my skin tight. Breakout or no...I'm ready to get rid of it. I've still got a couple of old dormant cysts that I'm going to ask my derm about. I don't know if he'll have to manually extract them or if the increase in dosage will activate them so they'll come out naturally. One of them is on the inner crease of my eyebrow. I'm very expressive with my eyebrows and I hate that whenever I raise them you can see this huge knot. Lips are still dry (of course). Eyes are not as dry anymore. Body skin is fantastic. Oiliness in my face is heavenly normal. So far I can go for 2 days without washing my hair, but I must invest in a good conditioner because the cheap stuff I have is not to my liking. Smells good though. Uhm...what else...still overly sensitive to headlights at night. During dusk and dawn the headlights don't bother me, but when it's pitch black outside they really hurt, especially when jerks leave the brights on. Not flushing anymore. Still sleeping like a baby and feeling refreshed in the morning. No aches, pains, nosebleeds, or bad thoughts. I'm peachy keen! I'll update again if anything changes. Toodles! I had no idea my skin was so fragile. I got out of the shower yesterday and had the most awful itch between my eyes. I scratched lightly, or so I thought, and OMG!!! My skin came off!!! Here is what I have now. Please be careful when scratching wet skin. I had no idea how pitted my skin has become over the years until taking these pictures. Like I've posted before, I've been very fortunate to start with an almost clean slate due to being on antibiotics for years. My lips are more dry today and so is the area around my nose, upper lip, and ears. My ears of all places! I've resorted to wearing 50 spf waterproof sunblock on my body. I've become really sensitive to the sun. Hey good luck with it! We started about the same time, I started on the 15th and you on the 14th! My skin problem is similar to yours. I have clogged pores all over my face. Your blackheads/whiteheads are pushing themselves out. Neat! Check out this picture of blackheads getting pushed out by accutane. I am happy to report that my third eye has fallen off already. You can't even tell it was ever there! Thank goodness I only scratched off the very top layer of skin. Dryness is becoming an issue for me. My head and hands are starting to itch. I bought some dandruff shampoo and a tube of lotion just to keep at work for my hands. I really don't want to develop any rashes. My face feels tight even though I moisturize. I think it may be time to stop wearing makeup from here on out so I can apply moisturizer as needed. Yesterday, a dormant zit flared right under my nostril. My fiance was quick to point it out. "You're not supposed to get any more of those are you? You know how much I don't like this medicine." I had to reassure him that this is normal and might get worse when my dose is increased. He got a little tight lipped after we talked about it, but I know it's because he cares. My next blood test is on the 13th. Hopefully it'll be good and he can relax a little. Me? I couldn't be happier. I feel great, am more positive than I've been in years, and am loving this stuff so far. I'm going to the mountains tomorrow and will update when I get back. I hope anybody reading these ramblings has a super weekend! Toodles. I've returned safely from a fantastic trip to the mountains. The cold air played hell on my lips. They bothered me the whole time. Other than that, I had a couple of actives that have already healed. My blood and pregnancy tests are tomorrow and my derm appointment is on Thursday. That's all there is to report. I've been in a fog all week. I don't physically feel different, but it's like I'm having lots of memory ticks. I keep forgetting little things and have found myself apologizing all week at work. I sure hope this goes away! Went to the dermatologist yesterday. He bumped me up to 60mg and is pleased with my progress. He said that even if I'm totally clear by the end of this batch I'm to remain on it for the entire course. Good! That's what I was hoping for. I was a bit worried about my triglycerides, but they're fine. They went from 77 to 93 which is well within normal, but still, I'm going to eat healthier to try to get them back down again. Le sigh...so long all of my chocolate friends. I will miss you. My symptoms are still only dry lips and sensitivity to sun and bright lights. I'm definitely noticing some changes with the increased dose. One spot that was healing up has become inflamed again. I've also developed a couple of small pimples around my mouth and one on my thigh. The skin on my back and hands is dryer. I'm fighting with the dry eyes all over again and my lips hate me right now. They're not cracked in the corners (yet), but holy moly, I can't long at all without having to reapply Carmex. I've had slight headaches since the increase, but they're nothing I can't deal with, and I've been feeling a little more tired than usual. I'm hoping my body will adjust soon so these symptoms will calm down. I'm still diggin' it though. Not being an oil slick is lovely.